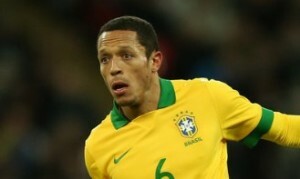 Reports are out claiming that Adriano hopes to soon agree new terms with Barcelona. The Brazilian international’s representative has been in discussions with Barcelona and the 28-year-old feels a deal could be imminent. The former Sevilla star told reporters : “I’ve been on the periphery with regards my contract renewal up to now, in these eight meetings, because I’ve been focused on the Champions League,”.